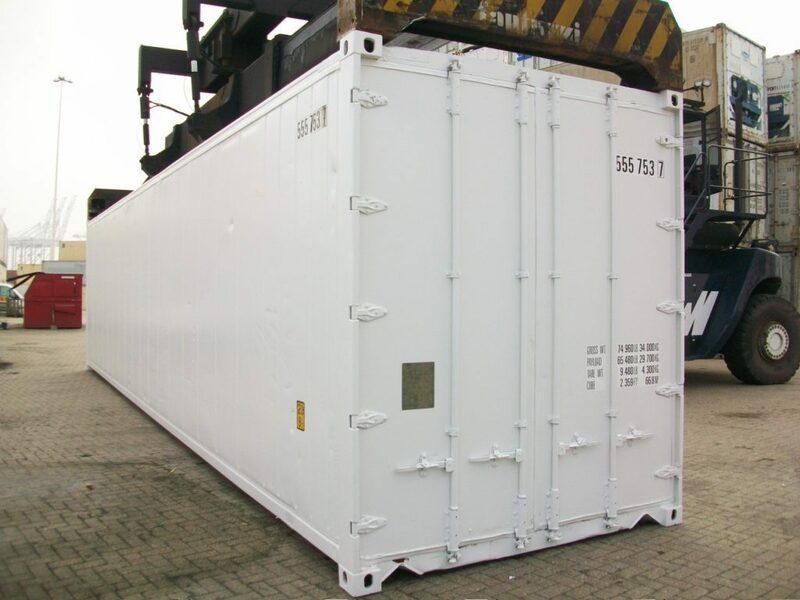 Insulated 20 ft sea containers, also known as non-operational shipping containers, are refrigerated containers that no longer chill effectively. Our second hand insulated containers feature the same stainless steel walls and thick insulation of refrigerated containers, and can keep goods and products approximately 15 degrees cooler in average temperature, or roughly 5 degrees cooler in warmer weather. Refrigerated high cube sea containers are reliable, weatherproof, vermin-proof, and built tough. These refrigerated high cube sea containers are made of tough corten steel, providing superior protection for your goods.